The Ruhr area still lies idle and decays. But after the crisis year 2016, the whole world seems to be falling apart. 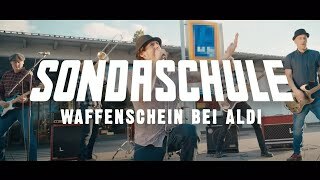 The ska punks of Sondaschule from Mühlheim an der Ruhr grow up to be a political band, yet their new songs stick to black humor and handle topics such as mortality, Amsterdam and gun licenses at the Aldi counter with a needed wink. The current album "Schere, Stein, Papier" reflects on the original punk idea and is an important statement for open-mindedness and lived multiculturalism. Sondaschule position themselves clearly and set a courageous musical sign for humanity and kindness.